Mrs. Rynerson, a former long term fourth grade teacher, came to visit our PHS fourth grade class twice this past month. 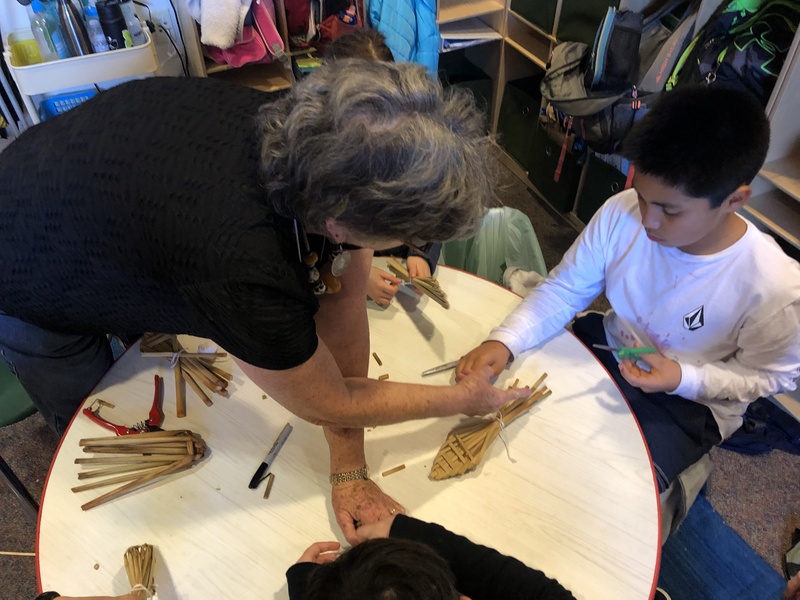 Mrs. Rynerson has studied many customs, traditions, and lifestyles of different native tribes of California, and she came to teach the class about the material culture of the native people. 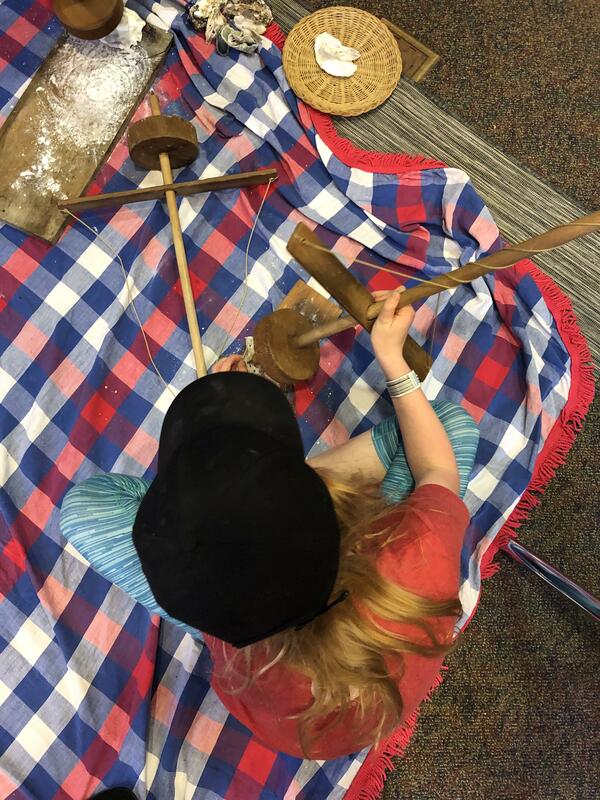 The students learned how to make tulle dolls, how to use a traditional manual drill to form holes into abalone, and how to properly crush and grind acorns that would be used for a meal. They also played new and exciting games such as walnut dice, and staves. This experiences deepened the students understanding of who the native people were and of how they lived their lives day to day.